This Cengage Technology Edition is the result of an innovative and collaborative development process. The textbook retains the hallmark approach of this respected text, whilst presenting the content in a print and digital hybrid that has been tailored to meet the rapidly developing demands of today's lecturers and students. This blended solution offers a streamlined textbook for greater accessibility and convenience, complemented by a bolstered online presence, for a truly multi-faceted learning experience. Now in its eleventh edition, this excellent text provides an extremely high level of scholarship combined with a clear and occasionally humorous writing style, and precise examples. This ensures that students receive the necessary rigour of content but in a very accessible way which is easy to understand. 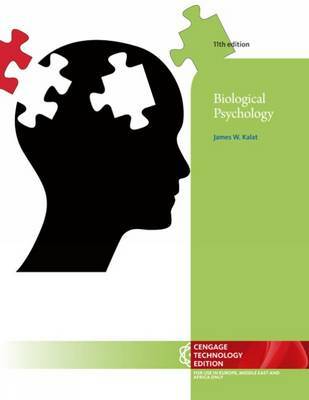 The latest research in biological psychology is covered, with over 500 new references and new studies on topics such as: fRMI; tasters; supertasters and nontasters; synesthesia; oxytocin; and sleep as a neuronal inhibition.